Sea buckthorn and other juices are supplied to the best restaurants and best cafés in Latvia, as well as to large producers overseas. 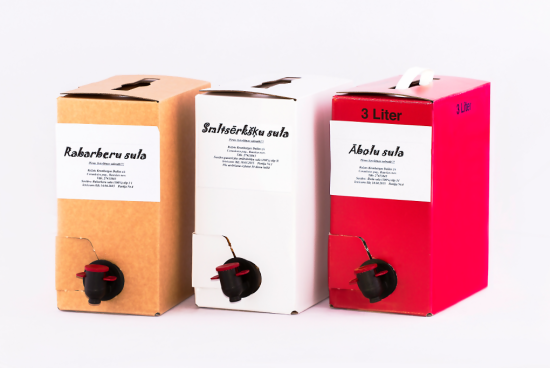 Juices are packagaed in 3, 5, 10 and 20l bag-in-box packages. Frozen berries supplied to large producers. Carefully pasteurised juices can be stored for up to one year. After opening, juices can be stored in a refrigerator for 30 days.